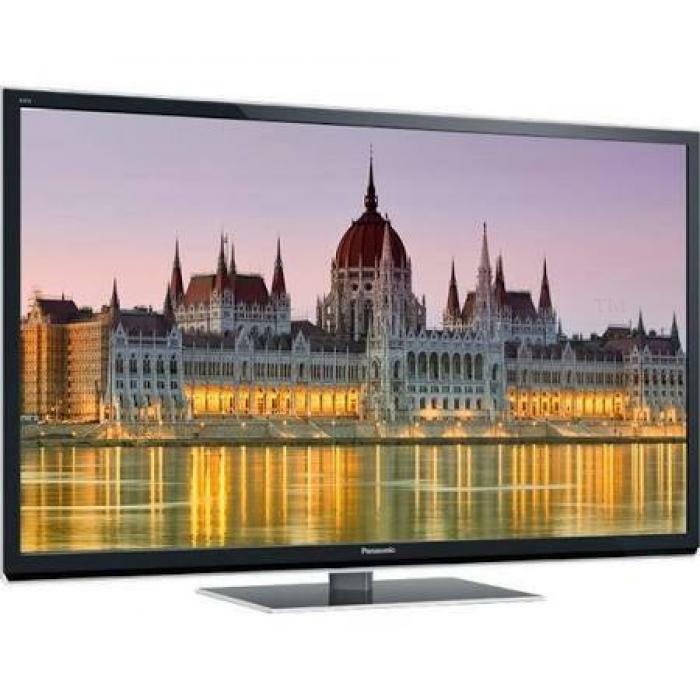 Panasonic 50" class ST50 Series Full HD Plasma HDTV uses Full HD frame sequential technology to create its 3D images. Images recorded in 1920 x 1080 pixels for both the right eye and the left eye alternately flash on the screen at high speed. When you view the screen through active-shutter glasses that open and close each lens in sync with the alternating images, you see breathtaking Full HD 3D pictures with stunning power and realism." Vividness," is the keyword in the TC-P50ST50's design. Besides 3D, 2,500 Focused Field Drive technology ensures action with striking clarity while gamers will appreciate the 1,080 lines of moving-picture resolution coupled with Game Mode which optimizes contrast and sharpness and accelerates image processing. And speaking of gaming, downloading games from Viera Connect Market allows you to utilize your tablet or smart phone as a game pad as well as a remote control for browsing the web. And you can do it wirelessly thanks to the TC-P50ST50's built-in WiFi. If you're short of space, or you just prefer an uncluttered room, you'll appreciate the 3D Real Sound with 8-Train Speakers. Panasonic employs acoustic-field compensation technology to match the soundtrack's frequency to human auditory characteristics. Eight small speakers with reflectors create surround effects enhanced by a super slim subwoofer that adds rumble, thunder and realistic base notes to your programming. You can listen to music or view videos and photos downloaded from an online source or from an SD card or USB drive thanks to the TC-P50ST50's convenient ports. Your TV's wide connectivity also includes 3 HDMI inputs as well as component, composite and optical inputs.